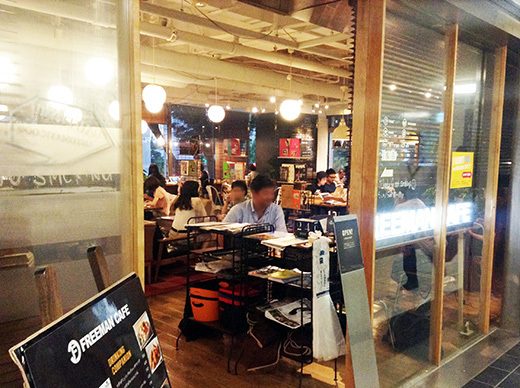 If you’re in Shibuya, looking for free-wifi and are in battery emergency, you should rush into FREEMAN CAFE. Not all the seats have power sources, but there’s a lot of electrical outlets. You can ask about that to friendly cafe staff. 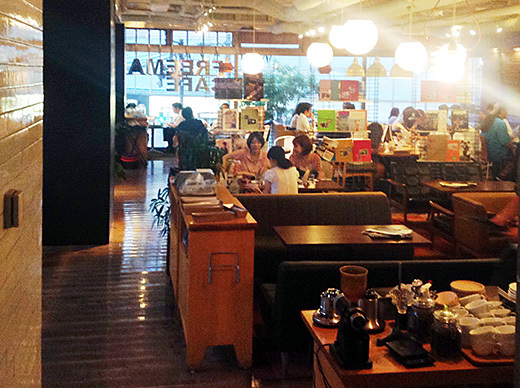 Of course the cafe has many nice menus. 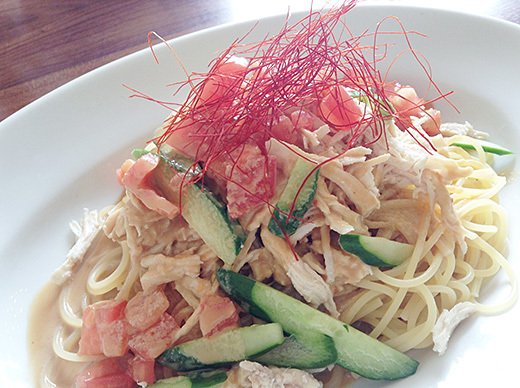 I had a dish from daily lunch menu – Chinese spicy sesame dressing chicken cold spaghetti.